Oscars: ready for a 'woke' red carpet? It's no longer acceptable for fashion houses to refuse to dress actresses like Melissa McCarthy just because they aren't size zero. Now, it is obligatory that attendees also use their moment on the red carpet to wear their "wokeness" - how conscious they are about pressing social issues - on their designer sleeves. In the wake of the Weinstein scandal and the rise of the MeToo hashtag, last year's Golden Globes even implemented a statement-making, all-black dress code. Celebrities at the 2018 Academy Awards, Baftas and Grammys followed suit, showing their support for the cause by wearing special Time's Up pins and white roses. And woe betide anyone who didn't get the memo. When actress Blanca Blanco decided to attend last year's Globes in a risque crimson gown, within hours she was trending on Twitter for the wrong reasons, and even received death threats. One year on, colour-coordinated outfits still pack a punch: this week, female Democrats wore white in support of gender equality at Donald Trump's State of the Union speech. But if 2018 was the year that red-carpet dressing got political, just wait till the 91st Academy Awards in 12 days time. With no official-or-unofficial dress code, celebrity attendees are said to be opting for crazily colourful gowns. When it comes to virtue signalling, there are new ways in Tinseltown. 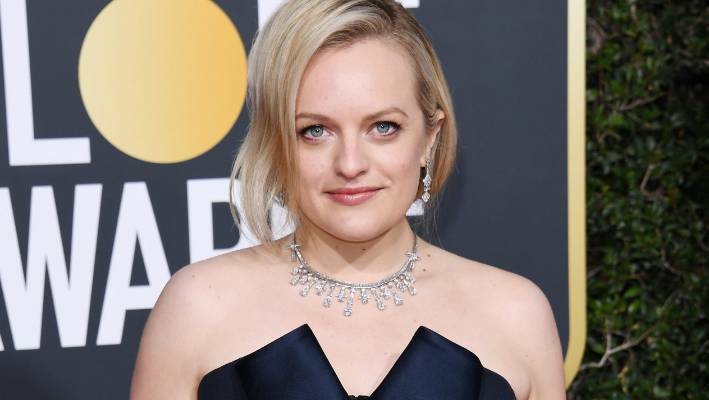 Elisabeth Moss used her Golden Globes red carpet walk to launch Red Carpet Advocacy, which asks for charitable donations from designers worn on the red carpets. The fact this year's Oscars will be without an official presenter for the first time in 30 years because organisers couldn't find one "woke" enough is a signifier of just how high the stakes have become. Last month, comedian Kevin Hart was forced to give up the coveted role after a number of old tweets resurfaced in which he reportedly expressed homophobic slurs. So what is in store this awards season? Early indications came last month, when The Handmaid's Tale star Elisabeth Moss arrived at the Golden Globes and used it to launch Red Carpet Advocacy. Known as RAD, the philanthropic initiative asks for charitable donations from designers worn on the red carpets; in Moss's case, every brand she chose - dress by Christian Dior haute couture, heels by Tamara Mellon - made donations to the American Civil Liberties Union. Though the process is simple - the stylist and celebrity pick out their red-carpet look as usual, RAD approaches the chosen brands for a donation to a charity of the star's choice, and when their clothes get discussed, during red carpet interviews, in magazine features and on social media, so does the donation - it's one that could yet change the face of event dressing. Hollywood stylist Tara Swennen, who dresses Kristen Stewart and last year's Oscar winner Alison Janney, believes that fear has led to a shift towards more ethical dressing on the red carpet. "Celebrities need to be very careful now, especially with things like fur," says Swennen. "I remember when People for the Ethical Treatment of Animals (Peta) would flour-bomb people like Kim Kardashian. Nobody wants that type of backlash anymore. Now the red carpet is a space for celebrities to speak out, and everyone's taking a stand." For Swennen's clients, that means ditching anything that might not pass ethical muster. "My clients won't wear coral, they won't wear non-ethically sourced diamonds. It's something I'm having to constantly ask designers these days. If the feathers on the dress aren't ethically sourced, don't bother sending it." RAD donations from designers worn by Mandy Moore went to Unicef and Give Love. Not only is the red carpet becoming more ethical, it's no longer accepted that fashion houses can refuse to dress stars just because they don't conform to the size-zero norm. 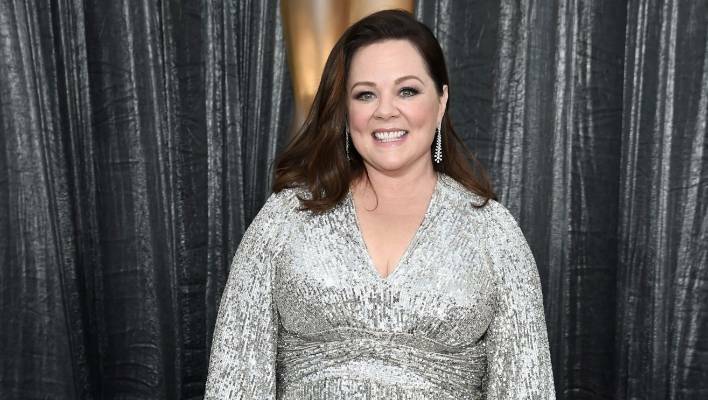 Take Melissa McCarthy, who has spoken previously about how no designer would dress her for the 2012 Oscars: "I asked five or six designers - very high-level ones, who make lots of dresses for people - and they all said no." Fast-forward to today, and she's Oscar-nominated again, this time for Best Actress, and everything's changed. "McCarthy is an A-lister," says Irene Albright, former stylist and owner of the Albright Fashion Library. "She's not going to have to scrounge for a gown." Set in a mansion up in the Hollywood Hills, complete with a huge crystal chandelier in the hallway and an outdoor pool with amazing views over the city, the Albright Fashion Library is an insider's secret, somewhere top stylists and celebrities go when they want something different for the red carpet. In addition to their archive of more than 7000 items of vintagewear, it spends US$2 million a year on acquiring new pieces for loan. Albright has noticed subtle shifts in red-carpet tastes. "We definitely have to cater to plus-size clients more often now, and I always get in a range of sizes for that reason," she says. "I'm mindful to have pieces to loan to older stars, too; I'd never dress a woman over a certain age in a sleeveless gown." She adds that more and more people are asking for ethical and vegan fashion now, meaning that some start won't consider brands that use leather or fur in their collections. 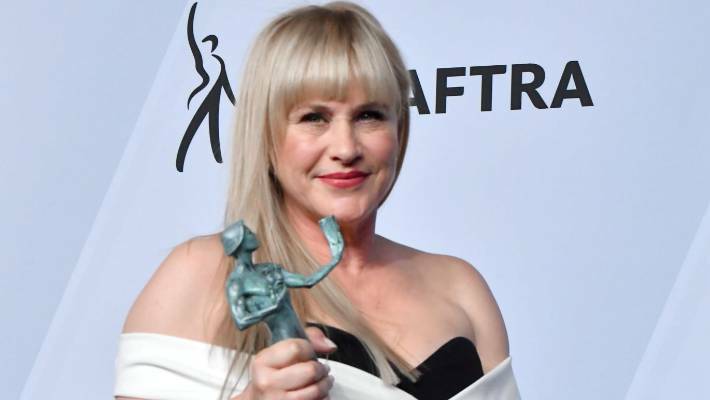 RAD also partnered with Patricia Arquette at the Screen Actors Guild Awards. "Millennials see right through inauthentic marketing strategies," says Carineh Martin, who co-founded RAD with Oscar-nominated costume designer Arianne Phillips, the brains behind the Time's Up pin. "They prefer to engage emotionally with brands which have a clear social agenda. Our intention is to modernise the carpet and make it socially relevant." As well as working with Moss at the Globes, RAD partnered with stars such as Mandy Moore and Patricia Arquette at this year's Screen Actors Guild Awards, donating to Unicef and Give Love, a clean water charity, respectively.